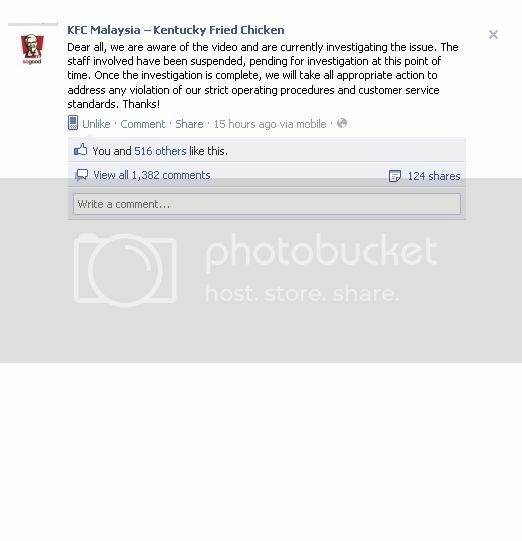 Sleeping all the time: KFC I-City Employee Vs Customer Fight?? What happen in our Country? You can get beat in a crowd Fast Food Restaurant??!! 1 sec; The Customer try to look for a fight? 2 sec; the customer "lady friend" say "sorry sorry" to the employees. 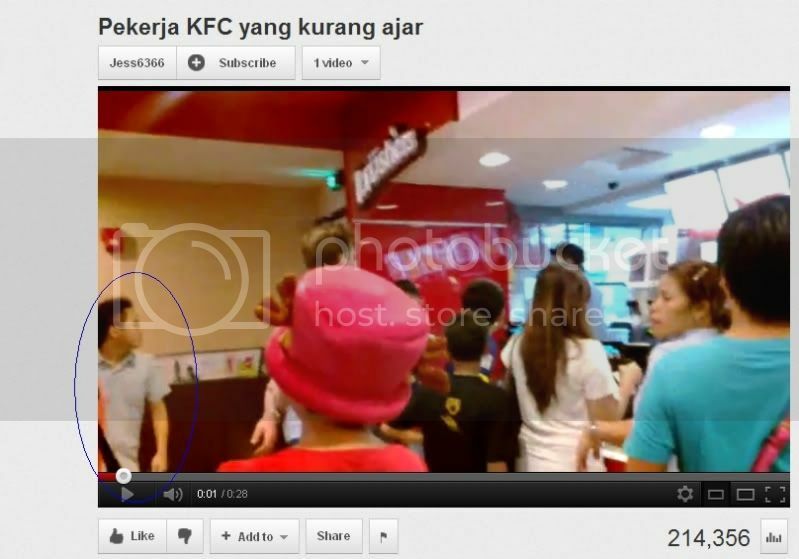 16 sec; the unfortunate customer punch by one of the employee. 18 sec; customer "kena" side kick by the same person. 24 sec; one blue shirt guy looks enjoy and smiling on the scene.